We have shown only a few features of Reliable HelpDesk. 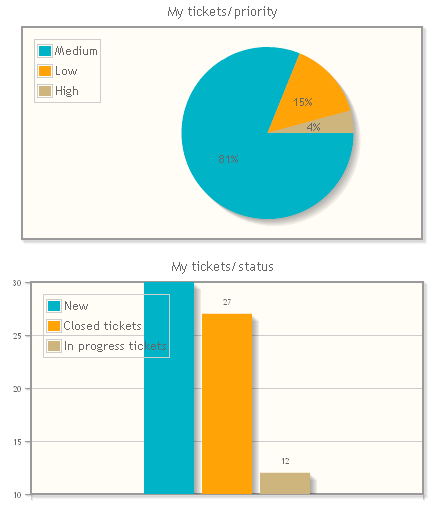 There are many more such as a live chat option, a section dedicated to managing ticket fields and the interaction between them. There are options for setting up Service Level Agreement policies, service time put in by the technicians is always measured and customer satisfaction can be graded when issues are finally solved. All these functionalities and many others are taylored around the generic needs of most companies and have proven to map to most business scenarios we have come across so far. To benefit from all this and much more, set up your own Reliable HelpDesk in less than five minutes and get started today.